Tender perennial, sometimes grown as an annual. 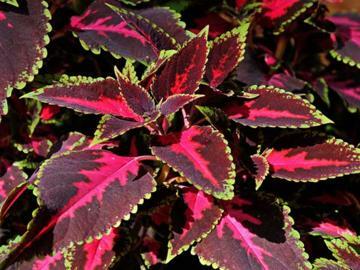 Nettle-like, toothed leaves of bronze-maroon with a central splash of pinkish red and finely edged with green. Relatively insignificant small blue and white flowers. Indoor foliage plant or outside summer bedding.